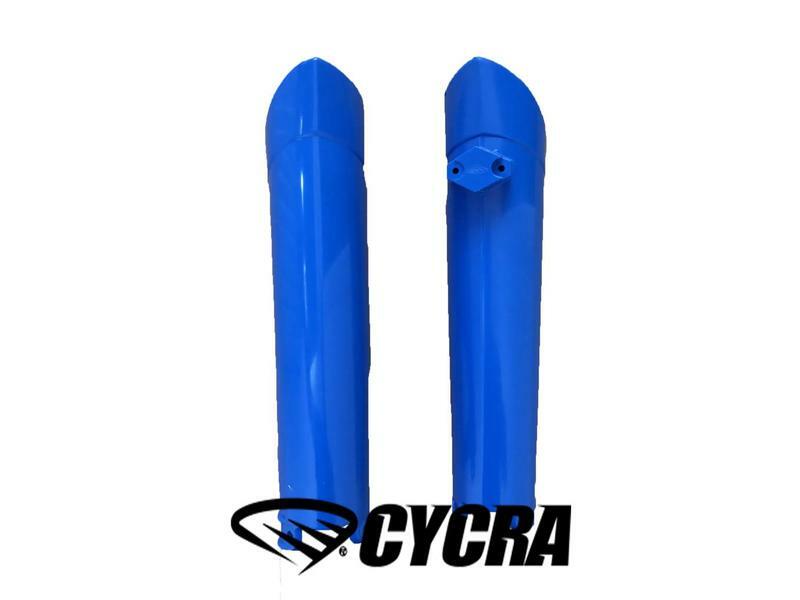 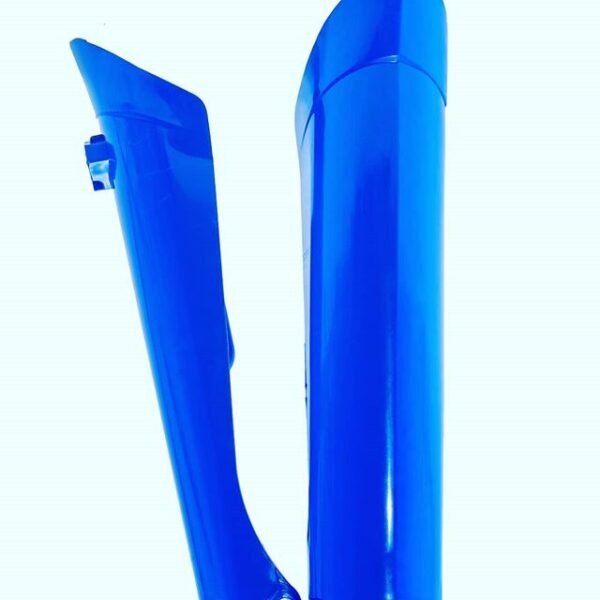 TM Racing fork-guards in ‘TM blue’ made by Cycra. 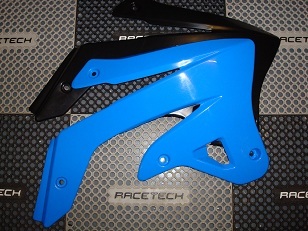 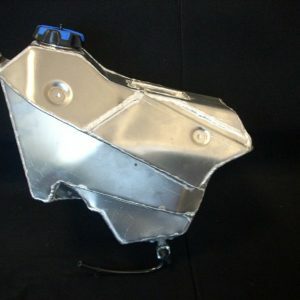 These fork-guards are a refreshing change in aesthetic design from the existing OEM part. 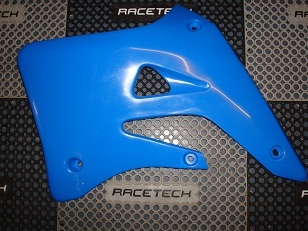 Featuring an pre-moulded front brake hose retainer to simplify fitting and removal over the original metal clasp.